With continental breakfast, maid service and an enormous pool, a good hotel can be the best part of your vacation. 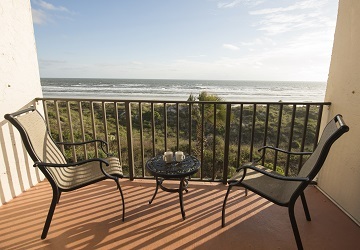 Enjoy amazing ocean views from our one bedroom balcony suites, all directly facing the ocean. Our equipped suites are perfect for families or couples who are looking for the conveniences of home, while basking in all the enjoyment of staying beachside. Select your own suite on our website. 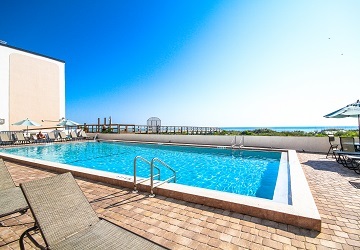 Our oceanfront heated pool is the perfect complement to the white sands of Crescent beach. 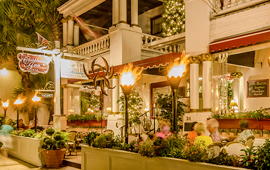 Plenty of great restaurants within walking distance and historic St. Augustine is only minutes away. 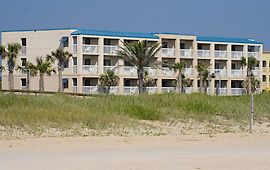 When you stay at Beacher's Lodge, just relax, unwind and enjoy all that the beach life has to offer. Enjoy the comforts of a cozy hotel room in historic downtown where you’ll wake up rejuvenated and ready for fresh, warm baked goods on St. George Street and quick access to all of the local historic sites. Or wake up instead to the call of the gulls and the slow rise of the morning sun over the ocean by staying at a hotel on the beach. You can even rest your head close to the outlet malls so you can get an early jump on morning sales. 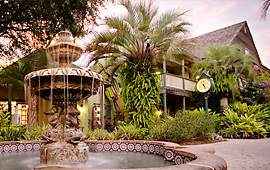 Many of The Ancient City’s lodging accommodations are in historic locations themselves. 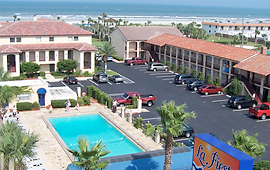 With a little research you can find the St. Augustine hotel that’s the best fit for you and your family! 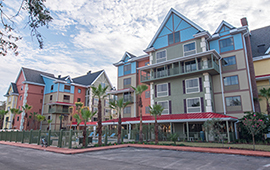 Our list of hotels in the St. Augustine area includes both franchise and independently owned and operated lodging facilities in town. Make your reservation today! You might be tempted to try a few locations around town over the course of your trip to fully experience all the area has to offer. 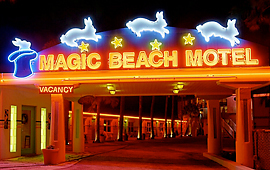 Enjoy a retro experience like no other just a few short steps from the Atlantic Ocean on Vilano Beach. 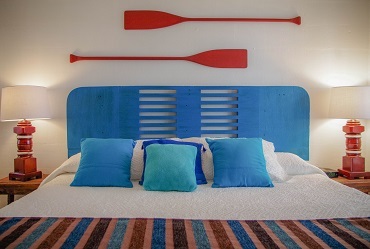 Each cozy room has been completely renovated and updated with all the modern conveniences. 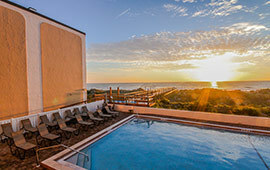 Jacuzzi rooms with ocean views, complimentary breakfast provided. There is plenty to do on this family-friendly beach. 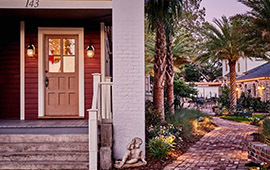 Five minutes from historic downtown St. Augustine. Come stay with us! 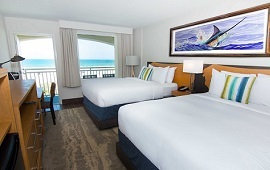 Enjoy your stay in one of our comfortable rooms featuring private ocean view balconies or in a Jacuzzi suite. 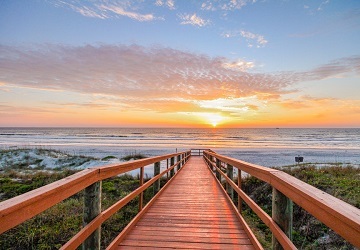 Breathtaking sunrises, easy access to the family-friendly beach - a favorite for surfers, skim boarders, and those hoping for a glimpse of dolphins. 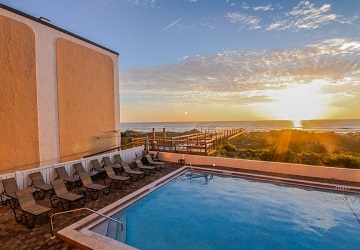 Five minutes to Historic St. Augustine, have a relaxing beach get-away and be close to all.